Not many people are inclined to let random strangers borrow their cars. It's a terrible idea. 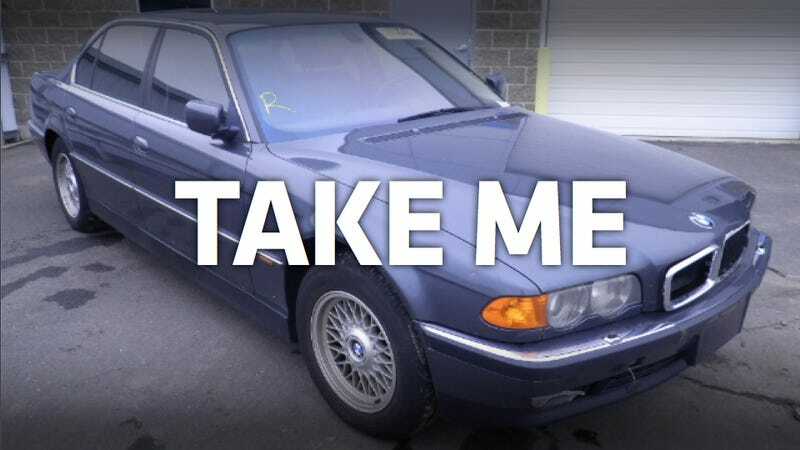 But a 46-year-old Burke, Va. man took pity on a couple of stranded travelers he met at a Hooters in nearby Fairfax and let them borrow his gray 2000 BMW 740iL so that they could make it to a wedding. Surprise, surprise, they didn't come back. The man's only condition had been that the couple bring the car back the next day and leave the keys with the Hooters waitress. They didn't return the next day, or the one after, or the one after that. Even though the mystery car borrowers had come back to the Hooters that same night to ask how to open the gas tank, they were still missing after eight days. That's when Mr. 740iL finally called the police. Seriously? Come on! I'm surprised the police didn't call the rescue squad, as the guy was clearly suffering from severe alcohol poisoning, or brain dead, and needed to be put on life support or something. Even though the aging Bimmer is only, according to Kelley Blue Book, worth about $6,000, its owner had left his laptop, some DVDs, and a pile of clothes in the car. Worse yet, he'd left an engagement ring in there, too (although his honey may have dodged a bullet if he's going around giving away his car to strange people in trashy beer joints). Police have been on the lookout for the thieves for almost a month. So if you see a 12-year-old gray BMW driven by a 5'10" white male with curly brown hair and a 5'5" white female with long brown hair, those are the guys. That's not a lot to work with, but the guy did give his friggin' car away. Call the City of Fairfax Police Department if you have any information.